In a world of convenience, the leader of the pack is the one who offers more with less. In the case of everyday purchases, Google is the dog that is pining for the lead. Their service Google Wallet is expected to be a hit, or at least a tap. This service allows for everyday purchases to be paid for by tapping your smartphone on the PayPass reader to instantly pay for your items. This reader is the same reader that was implemented with the tap-and-go credit cards released by MasterCard years ago. 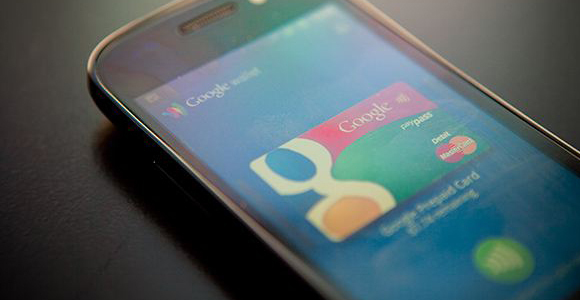 Currently Google Wallet only supports Citi MasterCard and Google prepaid cards. However in the future they plan to support every card you have in your wallet or purse. It also supports gift cards from participating merchants. When you tap your phone on the PayPass reader, your phone automatically makes the payment or sends the gift card information to the terminal. Another feature used is Google Offers. As Google sends you offers and discounts for merchants in your area, you can accept them. The offer is then synced with your Google Wallet and will be used the next time you purchase from that merchant. It also tracks rewards and offers that the merchant gives when you make a purchase. That too syncs with your Google Wallet so you can use it the next time you visit. This is expected to grow and include popular discount cards for everything from grocery stores to auto repair shops. As of now, the Google Wallet is still growing; therefore not every merchant can accept it. However, the merchants that have participated are among the most popular such as Jamba Juice, Foot Locker, Bloomingdales, CVS , Walgreens and Old Navy, just to name a few. Subway, Pinkberry, and Chevron are among the merchants that will be available soon. As with any new payment trend, security is a concern. When the PayPass credit cards were issued, many were victims of credit card theft. With Google Wallet, security was a priority. Over 200,000 cell phones are lost or stolen in Australia each year. Google Wallet has prepared for this by creating a pin for the Google Wallet app. This pin must be entered before making a purchase. Your encrypted credit card information is also stored on a security chip on your phone. MasterCard PayPass protects your information during the transaction so your credentials are safe from theft. However, even with the security in place, you are still suggested to cancel your credit cards in the event that your phone is lost or stolen. The Google Wallet is expected to become the newest trend as smartphone users are turning to their phone as an all in one financial solution. It is quite possible that the future of shopping will be wallet free and technologically intuitive. Soon every card you count on for payment, rewards, and discounts will be bundled in one tap at the register.